On long rides, sometimes it’s nice to stop and smell the roses…or spot the tortoise! During your time at Babes Ride Out 5, we hope you’ll keep an eye out for the awesome desert plants and animals that make this location so special. Here are some notable flora and fauna that is active during the month of October in Joshua Tree and beyond. Just remember to give critters their space and watch out for animals crossing the road! An iconic desert plant and close relative of the Joshua tree, these spiky shrubs can be seen all around Joshua Tree, Yucca Valley, and in the southern portion of Mojave Trails. It may only be October, but much like your local department store, the Mojave Desert is already getting in the Christmas spirit! You can spot these prickly clusters with red berries at Amboy Crater. 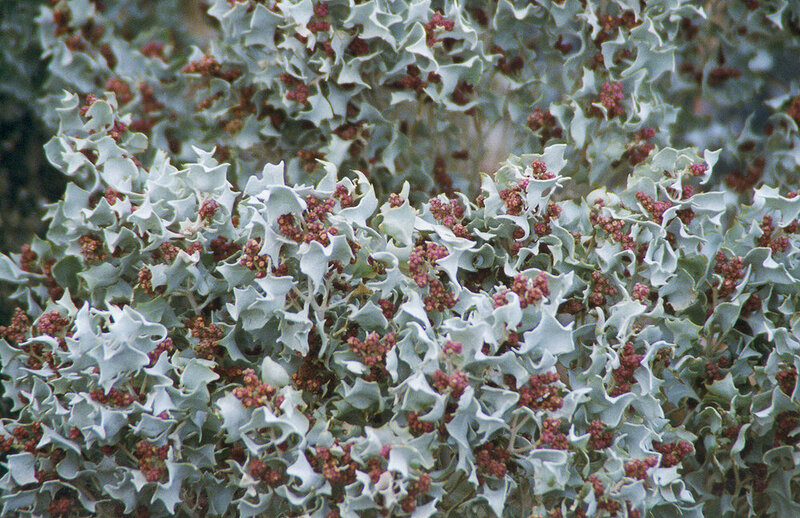 These bushy trees can be found on desert slopes in Joshua Tree National Park. Keep your eyes – and nose! – open for beautiful blue berries and that refreshing juniper fragrance. Harvested for timber and firewood over the centuries, the sweet pinyon wood fragrance invokes the image of pueblos and adobe homes. 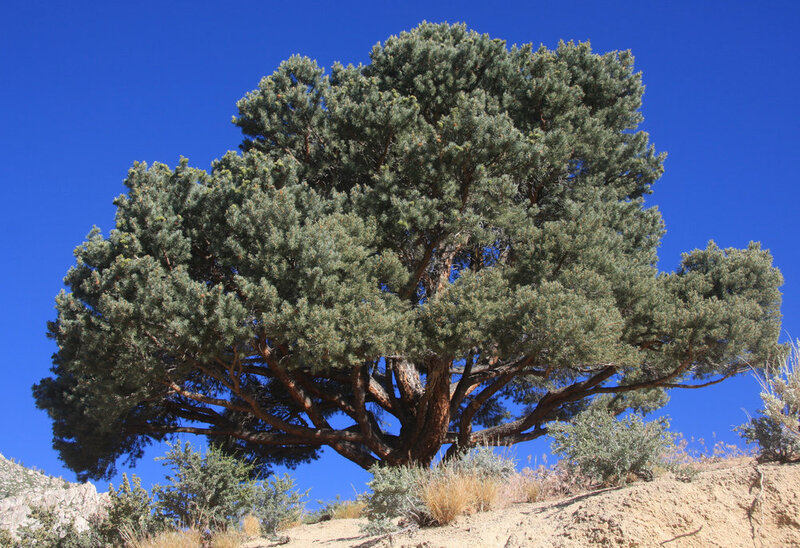 You can find these majestic, twisting trees throughout the desert on rocky, southern-facing slopes and mesas. True to its name, the red-tailed hawk has a broad, rounded tail with a rich, russet hue. You can see these amazing aerial acrobats circling around in the sky throughout the desert, especially in north Mojave Trails. Mature male bighorn sheep have curled horns that can reach up to 33 inches, while juvenile and female horns never exceed a half-curl. These majestic creatures can be seen scrambling up mountain slopes during the day, especially in the morning when they feed, at the Whitewater Preserve. With their domed shells and ambling gait, the California state reptile is one of the most recognizable species in the Mojave. October an active time of the year for the desert tortoise, so maybe you’ll get lucky and spot one among the shrubs. If you see a desert tortoise on the road, follow Joshua Tree National Park’s guide on when and how to move a desert tortoise. These plump, peaceful lizards are usually the size of your forearm and emerge in the morning to bask in the sun before hunting for food. 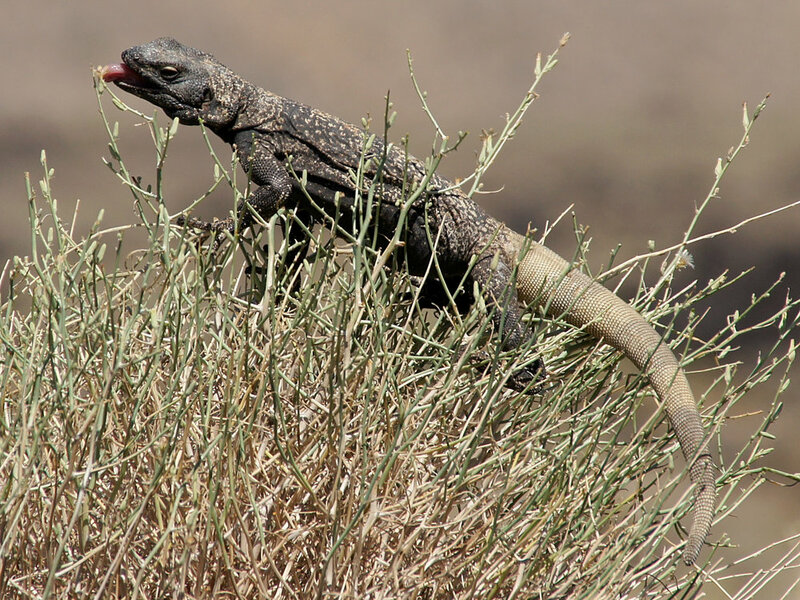 Look for these regal reptiles at Amboy Crater amongst the lava rock. The sphinx moths are among the largest flying insects in the desert and have fabulously flashy pink hind wings. You may confuse these beautiful bugs for hummingbirds when they are flapping around in the early evening throughout the desert lands.